Location was very good and the stay was comfortable. Private pool, a la carte breakfast cooked every morning, very friendly staff, clean and tidy. Loved it all. I liked everything about this villa. The staff are fantastic, made us feel so welcome and went beyond our expectations. The villa is just beautiful and so much space. Close to the beach and food options too. A perfect place to stay. Location was amazing, easy walk to restaurants with young children. Breakfast was simple but sufficient. Staff were great. Super comfortable beds. A very nice private pools. You got a living rooms and dining space with the other housemates. We had a great time at Villa Teman. The whole space is designed with attention to every detail and it is maintained to perfection. We loved the luxury of the rooms, we enjoyed hanging out in the open spaces and we spent a great amount of time in the pool (which is awesome). Our gratitiude goes to Sandra, Mira and her daughter who looked after us with a great care. 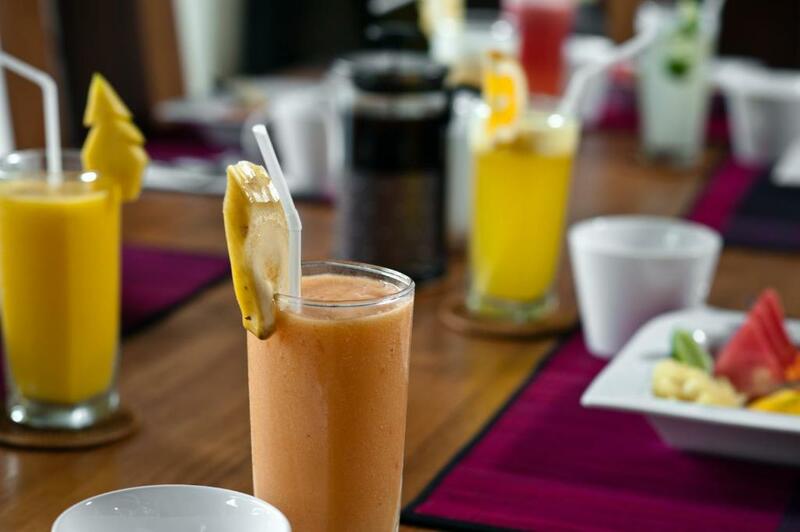 The breakfasts were delicious (kids keep talking abut the lime juice) and they cleaned the entire villa to perfection, at speed of light every morning. We also appreciated their help with booking the dolphin watching trip and getting various restaurants to come and pick us up. 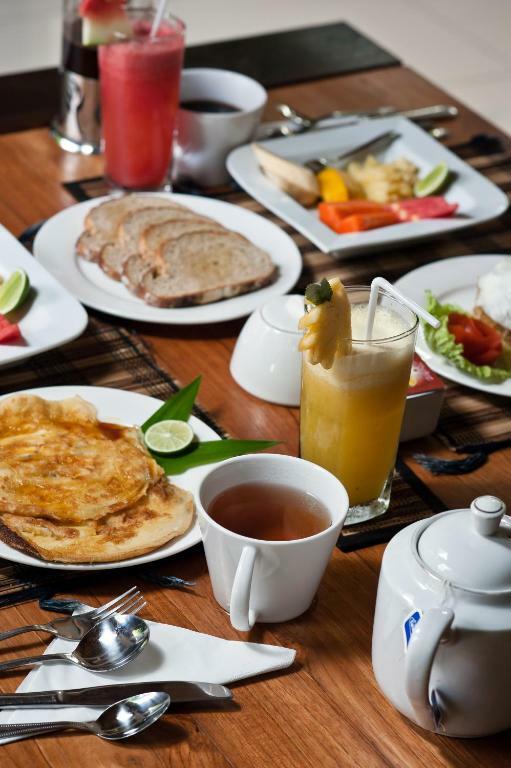 Recommendation for other travellers: Buda bakery and Villa Nyoman offer very refined cuisine. Both restaurants pick you up and drop you back. Beautiful villa, great hosts, excellent location. 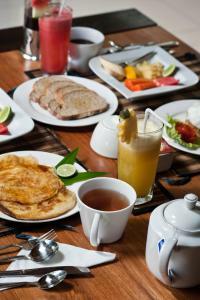 Breakfast was included, which was cooked to order in your villa by the amazing staff! 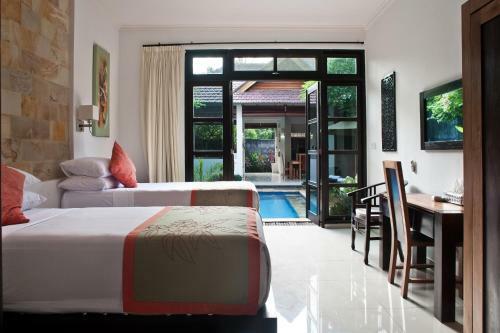 Lock in a great price for Villa Teman – rated 9.4 by recent guests! 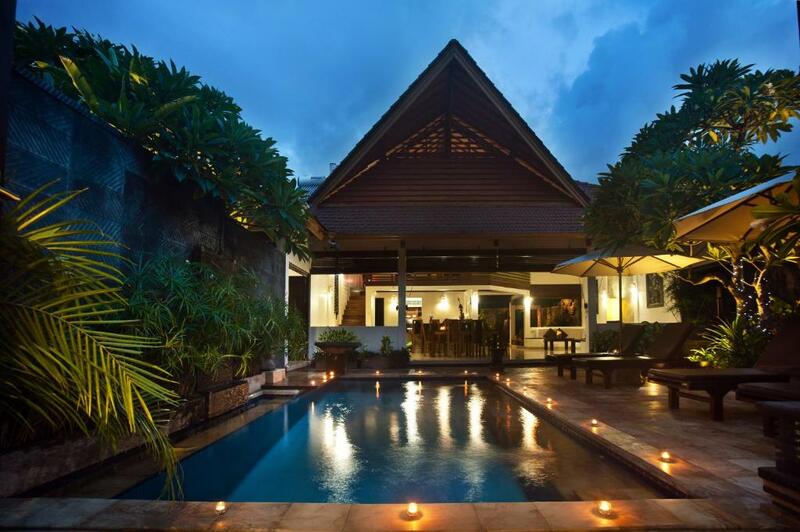 Villa Teman This rating is a reflection of how the property compares to the industry standard when it comes to price, facilities and services available. It's based on a self-evaluation by the property. Use this rating to help choose your stay! One of our top picks in Lovina.Featuring spacious villas with a private swimming pool and kitchen, Villa Teman is located in Lovina. A 5-minute stroll to Lovina Beach, it offers a spa, free internet and free parking. 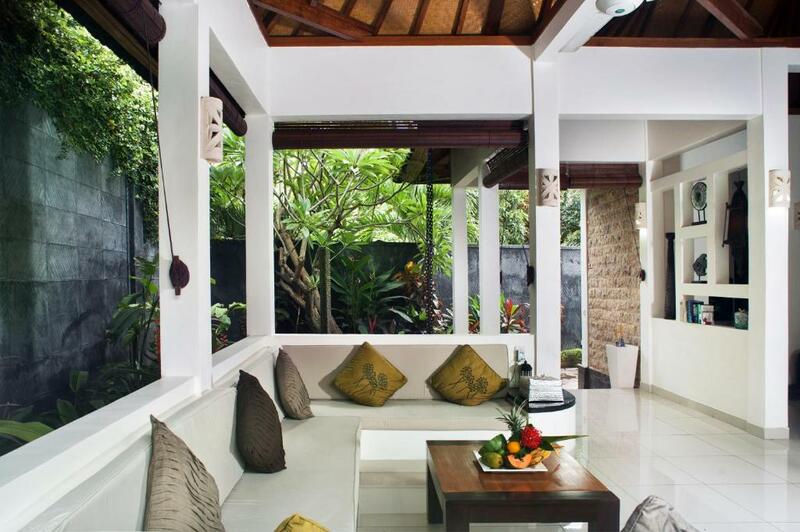 Elegant villas come with modern Balinese décor and large open-plan living spaces. Each well-appointed villa has 2 or 3 bedrooms, a courtyard and a bathroom with shower facilities. A TV and sofa seating area are included. Recreational choices include enjoying a relaxing massage at the spa, or lazing on the beach. Day trips, water sports activities and airport shuttles can be arranged at the tour desk. Teman Villa is a 1-hour drive from Gitgit Waterfalls and a 1.5-hour drive from Gili Manuk. Ngurah Rai International Airport is a 3-hour drive away. 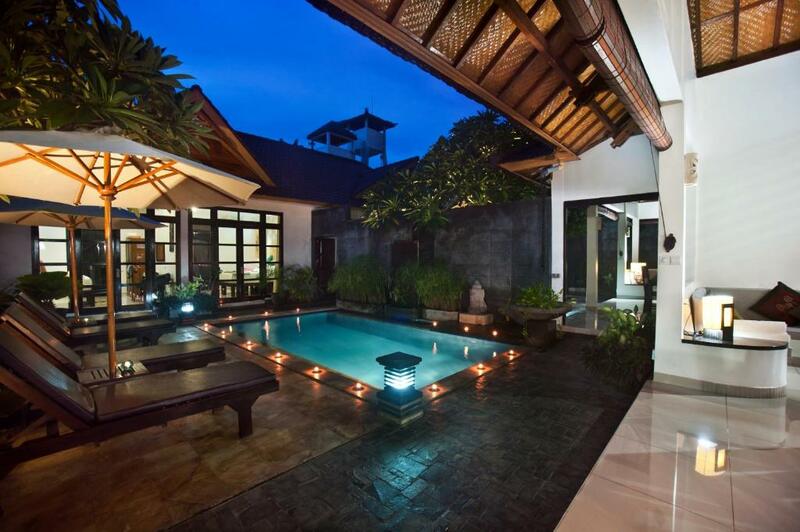 When would you like to stay at Villa Teman? This elegant two-bedroom villa features a private outdoor swimming pool, a separate living area, dining area, and a large well-equipped kitchen. Each bedroom is air-conditioned and the private bathrooms have shower facility. This spacious and elegant three-bedroom villa features a private outdoor swimming pool, a separate living area, dining area, and a large well-equipped kitchen. Each bedroom is air-conditioned and the private bathrooms have shower facility. Villa Teman is owned by 2 Australian couples who take an active interest in maintaining high standards of guest comfort at our villas. Our lovely property consists of three (Australian) architect designed private pool villas which offer our valued guests traditional Balinese tropical luxury combined with a high standard of modern design and amenities. We offer a private villa experience with lots of space, water features abound and our best feature is our welcoming and highly trained staff. Extras include high speed WiFi and cooking classes available on site. Transfers with our trusted driver are also available. We are 2 Australian couples who love the Lovina area and are very proud of the level of comfort and luxury offered by our villas just a 5 minute walk from the centre of Lovina. We had come to Lovina over a number of years and dreamed of our own villas. One of the owners is an experienced and renowned Australian Architect who designed our villas. 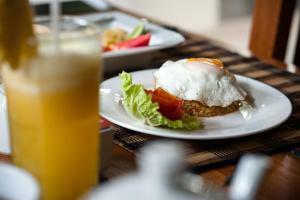 We are a 5 minute stroll down a quiet lane from one of the main streets in Lovina leading down to the beach. Bars and restaurants are also 5 minutes away. The Lovina area is renowned for dolphin watching, scuba diving, snorkelling, waterfalls and mountain trekking. This is the Bali that has very little to do with the shopping and nightclubs down the south. Experience the friendliness and culture of traditional Balinese villages. House Rules Villa Teman takes special requests – add in the next step! One older child or adult is charged IDR 250000 per person per night in an extra bed. Villa Teman accepts these cards and reserves the right to temporarily hold an amount prior to arrival. A fan in the bathroom to keep it cool and mossie free (possibly mesh to stop mossies). Good staff, no bugs, very clean, 5 mins walk to the beach, parking, clean pool, good choice in minibar at good price. Car organised to pick us up from Munduk had no seatbelts in back seat, perhaps if travelling with children ask for a car with seatbelts. We did on the return transfer and staff were happy to organise. The third bathroom is not as nice as the other two, by a long shot. Blankets are too thin. The third room does not have a an attached bathroom. All the rooms does not have TV, there is one at the second living room. Everything other things are great. We appreciated the free shuttle from Ubud but the car was really run down and there were no seatbelts at the back. Crossing the mountains is challenging for kids' stomachs so I would recommend staying on the main road. Beautiful villa. Very private and luxurious. Staff were very friendly and helpful.